SumoMe review : The Ultimate tool to boost your website traffic !! Let’s begin by asking one of the most pertinent questions that often runs through the mind of every blogger or business in a tech-savvy and a socially connected world – “Do I Need to Market the Content? Before I answer this question, let me late a look at how painstakingly good blogs are created. You would spend days zeroing on an interesting topic, choose the most potent keywords to attract traffic and then proofread it for hours to ensure it strikes the perfect chord with your audience and helps you realize your marketing goals. When it comes to publishing the blog you would select the right graphic and charts to go along with it or you may be even creating them afresh. Good blogs don’t happen by chance, they are a result of a good amount of thought and hard work that goes into creating one. After all the hard work that you have put in, you expect the blog to earn you rich dividends. But, tons of page views and a good amount of interaction with your users don’t always happen by chance. They need to be backed up by a good content marketing strategy. Thankfully there are good tools available to help you market your content and reach out to a wide audience. Below is a review of one of the most famous content marketing tool for WordPress called Sumo (formerly SumoMe). It is a complete suite that helps you increase your traffic and interaction both organically as well as leverage the power of Social Media. It is a set of content marketing tools that help you increase traffic to your website; improve the experience for your visitors and upsurges engagement on different social networks. It comes with everything that you would need to increase the popularity of your blog and measure its outreach. From list builder and heat maps to social media share buttons and analytics, it is a neatly packaged set of tools. Sumo derives its USP from ease-of-use. You don’t need to be a tech geek to use it nor run through hours of video tutorials to understand its advanced features. If you are running a website/blog on WordPress you can get started within minutes. But it isn’t just for WordPress and has been developed for cross-platform integration. It can be applied to your blog or website irrespective of the platform you are using to run it. In short, it is the perfect amalgamation of all the tools that one needs to create an engaging, enriching and rewarding blog or website. How Can Sumo Help You? There is no better way to grow your blog that to increase the number of subscriptions to your blog. With Sumo’s List Builder feature, you would be able to achieve this with ease. It helps you increase email subscriptions to your blog using giveaways and bonuses. From giving out chapters on your unreleased book to offering a free set of tools the options before you are unlimited. ‘Welcome Mat’ may sound a complex technical jargon but you have seen it already on the most popular blogs. One look at the image below and you know what we are talking about. Welcome Mat with email collection field. Welcome Mat with a video that delivers a terse message. Welcome Mat Parallax that can be used in the middle of a blog. Welcome Mat with CTA mostly used by e-commerce websites. Marketing content on social networks is as important as writing them in today’s world. Sumo makes it easy for you with its Share Bar which is an all-inclusive social media toolkit that can easily be integrated into your blog to encourage your users to share content within their network. It covers all the popular social media networks like Pinterest, Twitter, Facebook, G+, Twitter and also some ‘not-so-popular’ ones that you may need to target certain niches. 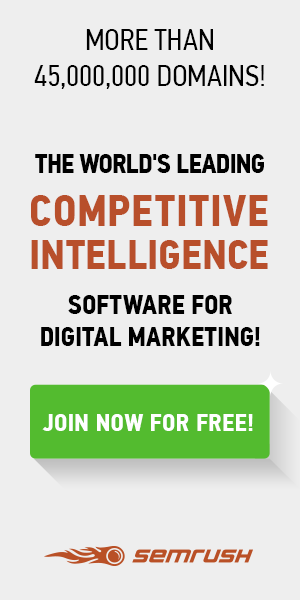 It lets you generate traffic and creates an opportunity to increase blog subscriptions. Google Analytics Integration – You no longer will have to log into your Google Analytics account to keep track of the traffic on your website or get insights into keywords that are garnering maximum engagement. Google Analytics can be integrated into the Sumo Dashboard offering you all that you need to know at the click of a button. Content Analytics – It isn’t enough to know the number of visits to a post or the total traffic to your website. Did users read your entire blog? Which sections of your blogs are attracting maximum eyeballs? The Content Analytics feature with colored scroll maps offers you complete insight into this. You will know where to add bullets, images to make your content more interesting. Sumo Heat Maps – Which part of your blog post is attracting maximum clicks? Heat Maps would offer you this vital piece of information and by using this you will know where to use CTA on your blog. This allows you to use the other tools we have mentioned above to improve engagement and increase subscription. Buy Button – This is one for eCommerce stores that make use of Sumo. The Buy Button can be strategically placed on the content pages of your blog to improve the conversion rate and increase profits. Image Sharer & SumoMe Highlighter – This is a very powerful feature which puts Sumo ahead of similar tools available in the market. This feature lets you overlay buttons on your images which can easily be shared by the users on various networks. Contact Form – While you may already be using a contact form on your website, Sumo adds a bit of life to it. For starters, you will be able to use scrolling or pin the contact form to a certain part of the website that helps your users reach you easily. This improves engagement and also powers your goal of turning visitors into loyal followers. How Much Does SumoMe Cost? Sumo is targeted towards a broad audience and it is well reflected in its pricing scheme. There is a free sign up option but it comes with a caveat where Sumo’s name and logo would appear on your bars, forms etc. But nonetheless, it is a great way to try out Sumo and its awesome tools. Apart from the Free plan, there are four other plans that are targeted towards different customers from individual bloggers and small businesses to eCommerce sites and large teams of bloggers. Price wise Sumo is competitive and promises great ROI given the increase in traffic and engagement its users see within a short span of time. Is Sumo Right For Me? We started with a question and now you would have another in your mind – “Is Sumo worth the money and the right choice for my content marketing initiative?” To answer it in a simpler way – you can’t expect to grow big in this competitive industry without focusing on content marketing. Without the use of content marketing tools or hiring an agency to do the job for you, your growth would be restricted. In such a scenario a tool like Sumo fits into your bill perfectly. It is competitively priced and offers you an end-to-end content marketing solution. From strategy to measuring results, it covers all aspects of Content Marketing. With 24/7 support in the paid plans, it is just the tool you need to scale up the rank on search engines and turn your blog into a revenue generation tool. If you are still not sure, why don’t you join a live workshop or Sign up now for free? Still Confused? Ask your question in comments.